What if you’re doing everything right—exercising, eating right, self-care and meditation—and you’re still not okay? After Kathleen Shannon gave birth to her son, Fox, she was doing all the things, using every strategy in the Emotional Resilience toolkit, and on the outside, she appeared to have it all together. But she just didn’t. Though she didn’t realize it at the time, Kathleen was suffering from postpartum depression. After a visit to an insightful midwife, Kathleen learned that extreme sleep deprivation had her battery running dangerously low. And the fact that nothing else was working meant that something deeper was happening. The midwife prescribed anti-anxiety medication, and it saved Kathleen. Today, Kathleen joins me to share her messy parenting journey, discussing her challenge in deciding whether to be a mom in the first place and her struggle with postpartum depression and anxiety. She offers insight around the beauty of daycare, explaining why she views it as an investment and how it has expanded her son’s capacity for love. I ask Kathleen about her work with Braid Creative and Being Boss, and she describes what branding is and when you should initiate the process. 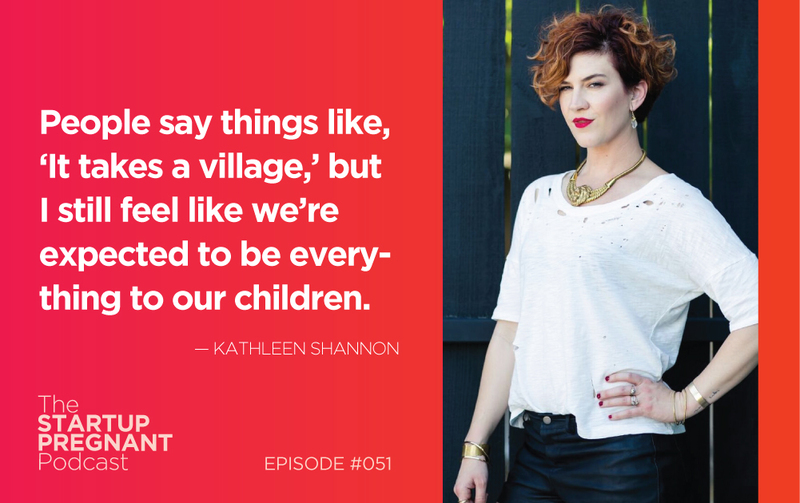 Listen in for Kathleen’s advice on managing mental health like a boss and learn how parenting influences her work—and vice versa. Kathleen Shannon is the co-founder of Braid Creative and Consulting, a boutique branding agency that helps creative entrepreneurs position themselves as experts and blend more of who they are into the work they do. She is also the co-founder of Being Boss, a popular podcast and coaching resource for creative entrepreneurs, and co-author of the new book, Being Boss: Take Control of Your Work & Live Life on Your Own Terms.